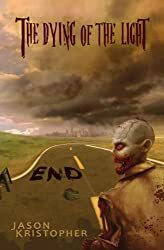 The Thirteenth Step: Zombie Recovery by Michele W. Miller, read by Gabrielle de Cuir for $0.99+$1.99 — Zombies are not typically my bag, yet somehow I’ve read or otherwise heard or gotten to a lot. I wasn’t expecting too much from a self-published book, but de Cuir as narrator piqued my interest enough to check it out and I ended up enjoying this quite a lot. While there are some “staples to the point of trope” of the genre here (motley cast of characters assemble! bring in zombies! scare and run! sometimes we lose somebody! oh by the way some other human survivor’s are either going psycho, or trying to reinstate the 50s!) there’s also some really unique wrinkles, the main one being that for some reason, alcoholics and others with an addiction gene have some level of resistance to being detected by the zombies. There’s also the “THANK GOD SOMEBODY FINALLY” character who has actually read Max Brooks, and we get the fun of comparing notes a bit between fiction and (this fictional) reality. Also, on that “motley crew” this one has a lot going for it. It’s diverse in age, race, gender, sexuality, nationality, disposition, goals. And de Cuir brings it all to life, with some additional nice production touches such as radio static effects, that really take this audiobook up a couple notches. 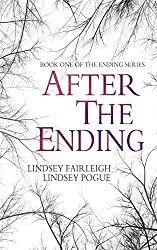 Even if you’re reading this after the countdown deal has expired, it’s still quite a bargain at $3.99+$2.99. 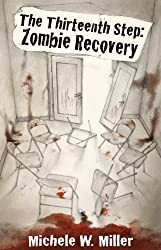 It’s a refreshingly original wrinkle in the zombie apocalypse subgenre — who knew that Alcoholics Anonymous would be ready for this? 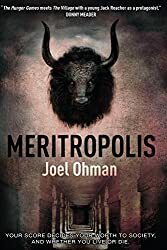 Meritropolis by Joel Ohman, read by Mikael Naramore for $0.99+$1.99 — “The year is AE3, three years after the Event. 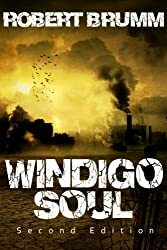 Within the walls of Meritropolis, 50,000 inhabitants live in fear, ruled by the brutal System that assigns each citizen a merit score that dictates whether they live or die. Those with the highest scores thrive, while those with the lowest are subject to the most unforgiving punishment – to be thrust outside the city gates, thrown to the terrifying hybrid creatures that exist beyond. But for one High Score, conforming to the System just isn’t an option. 17-year-old Charley has a brother to avenge. And nothing – not even a totalitarian military or dangerous science – is going to stop him. Where humankind has pushed nature and morals to the extreme, Charley is amongst the chosen few tasked with exploring the boundaries, forcing him to look deep into his very being to discern right from wrong. But as he and his friends learn more about the frightening forces that threaten destruction both without and within the gates, Meritropolis reveals complexities they couldn’t possibly have bargained for…” And, again, if you’re reading this after the countdown deal has expired, it’s still an inexpensive pickup at $4.99+$1.99. 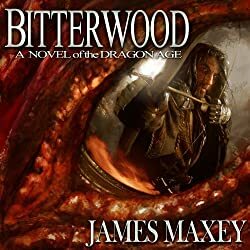 Bitterwood (Dragon Age series Book 1) by James Maxey, read by Dave Thompson for $0+$1.99 — So, yeah. This is my co-Audiobookaneer Dave reading another friend’s book. $2. It’s a really good book; unfortunately the recording is a little scratchy. Still it’s a fantastic take on a future Earth, ruled by genetically engineered intelligent dragons who treat humans as slaves, pets, and food, with a brilliant cast of characters — both human and dragon — ranging from the iconic dragonhunter Bitterwood, to the roving religious fanatic, to sympathetic, heroic, and villanous dragons, and plenty in between. Check it out. Then come back here and comment begging Dave to record the rest of the series. Area 51 (Area 51 series, Book 1), The Reply (Area 51 series, Book 2), The Mission (Area 51 series, Book 3), The Sphinx (Area 51 series, Book 4), The Grail (Area 51 series, Book 5), Excalibur (Area 51 series, Book 6), The Truth (Area 51 series, Book 7), Nosferatu (Area 51 series, Book 8), and Legend (Area 51 series, Book 9) by Bob Mayer, writing asRobert Doherty, read by Jeffrey Kafer for $1.99+$1.99 or $1.99+$2.99 each — “Since before the dawning of modern man, an alien mothership and nine abandoned flying saucers have been hidden away in Area 51, a top-secret military base in the Nevada desert. There, scientists have studied the crafts, hoping to unlock the secrets of the alien technology and, perhaps, the origins of life on Earth. 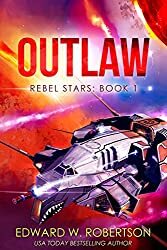 But now a deranged general wants to activate the mothership’s interstellar drive—and the consequences could prove catastrophic for humankind. 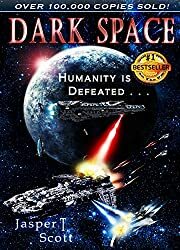 Dr. Hans Von Seeckt—an elderly scientist, ex-Nazi, and original member of the Area 51 research team—joins up with the president’s science adviser, Dr. Lisa Duncan, and Special Forces officer Mike Turcotte to put a stop to the planned test flight and tell the public the truth about Area 51. Meanwhile, a brilliant archaeologist, Professor Nabinger, discovers a message on runes found in ancient Egypt that could change everything we think we know about human evolution and the role that alien visitation may have played in it.” The additional Nightstalkers (Area 51: The Nightstalkers Book 1) books are also solid Whispersync deals, as well as various other Mayer books such as Atlantis and Atlantis Gate. Frontera by Lewis Shiner, read by Stefan Rudnicki and Gabrielle de Cuir for Skyboat for Blackstone Audio for $2.99+$2.99 — This one’s really fantastic. 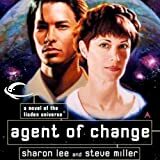 Shiner’s 1980s debut novel, right in there with Neuromancer and Bruce Sterling and the others of the cyberpunk movement with which he was a big part, and with a real solid hard sf space mission to Mars element as well, finally in audio this year. 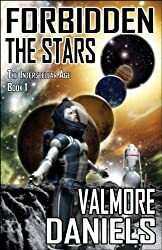 I think I’ve finally found an audiobook that I can point to when someone asks about “Hey I liked this book The Martian what else you got?” It’s a lot, lot more fucked up than The Martian; bigger cast (there’s the titular Mars colony) and a couple decades into a further, weirder future with cyberpunk influences (brain implant tech, corporations, genetic drift, psychedelic drugs, …). I’m a huge, huge, raving Lew Shiner fan, and Rudnicki is one of my favorites, and both he and Gabrielle de Cuir are fantastic on this one, as always. Whew! Want still more? I didn’t even take a look at the new Open Road Media titles, or new Podium Publishing and Crossroad Press audiobooks, or a check down the list of some prolific indie authors I know to have their own deals going on (Scott Nicholson , Jake Bible , …) … And Audible is having a 160+ title $6.95 Big Hits Sale that I haven’t even started combing through, though a quick peek shows that it includes The Name of the Wind: Kingkiller Chronicles, Day 1, Hyperion, Hard Magic: Book I of the Grimnoir Chronicles, Reamde, Stardust, and Leviathan Wakes for starters. Enjoy! This entry was posted in Whispersync Deals and tagged frontera, gabrielle de cuir, james langton, james maxey, joel ohman, justine eyre, kate rudd, katia fox, kevin j anderson, lewis shiner, luke daniels, meritropolis, michele w miller, robert brumm, rudy rucker, simon vance, stefan rudnicki, the thirteenth step, victor bevine, wendigo soul. Bookmark the permalink.